In the past week Annie Duke returned to television; not as poker player, or in any managerial role with some new project, or even as a contestant on a reality show. No, Duke’s return to television was in an advocacy role, appearing on Stossel on the Fox Business channel (a libertarian based program) as well as The Young Turks on Current TV (A far left show which is basically the opposite of Stossel) giving her thoughts on gambling. While applauding the conversation, Duke’s appearance on the two shows was met with disgust by many in the poker community, considering Duke’s somewhat checkered past; having been one of the faces of Ultimate Bet Poker before, during, and after the Super-User scandal and later ran the Epic Poker League, which folded before the end of its first season and failed to honor its promise of a $1 million freeroll. Most of the outrage against Duke has been expressed on the poker forums and on social media, since only die-hard fans are really aware of Annie’s full resume. My biggest issue with Duke’s television appearances is with the producers who booked her as a guest. Duke has always been a polarizing figure in the poker world, and since the Epic Poker League debacle she has an approval rating in the poker world hovering around that of Congress. To have a guest on your show that is loathed by the majority of the community she is representing is reprehensible in my opinion. Cardplayer Magazine posted a link to the interview and asked their Facebook followers what they thought of the appearance and of the 52 comments only five were positive (and some seemed clueless to her past transgressions) and four or five others were neutral. Most of the comments posted I would be unable to even get past a tolerant filter. The general consensus was quite clear however. 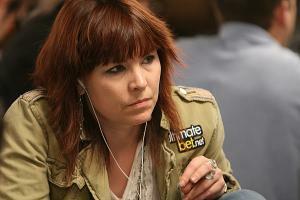 The idea that Duke would be the person booked to represent poker is almost laughable: Not only did she run the Epic Poker League into the ground (and tried to stall for time by misleading the community about the company’s financial health) but she is also associated with Ultimate Bet Poker, which is perhaps the biggest black-eye in the history of online poker. Duke hasn’t cashed in a non-invitational tournament since February of 2010, and has spent most of her time since hocking training seminars and other events. On the surface Duke’s $4.2 million in tournament earnings looks quite impressive, but the reality is she has made only $1.6 million when we exclude her winnings from invitational events. So in nearly 20 years, Annie Duke has won $1.68 million in tournaments, which any poker player knows would leave you in the red. Furthermore, Duke has a personal reputation in poker that is less than stellar, and her brother could very well be the most despised man in poker. So she has a checkered past in poker related businesses, is not a high-level poker pro, and is personally disliked by many… All things considered a very strange choice to represent us indeed.